Grace delivering a handmade blanket to a hospice patient in Antigua, knitted with love by seniors in Canada. if we can give something for our community, for these girls, for these boys, why not? Candelaria and Gregorio Garcia, our partners in Panajachel, Guatemala, are self-made entrepreneurs. They both grew up in poverty in the villages near Panajachel, speaking Kakchiquel, the Mayan dialect. I would rather teach someone about health, than give them a prescription. Dr. Francisco grew up as an indigenous Tzutujil boy in the lakeside village of San Pedro la Laguna, and thanks to a scholarship, he was able to attend school. He worked his way through medical school, including a stint in the USA, and built a practice in Guatemala City. 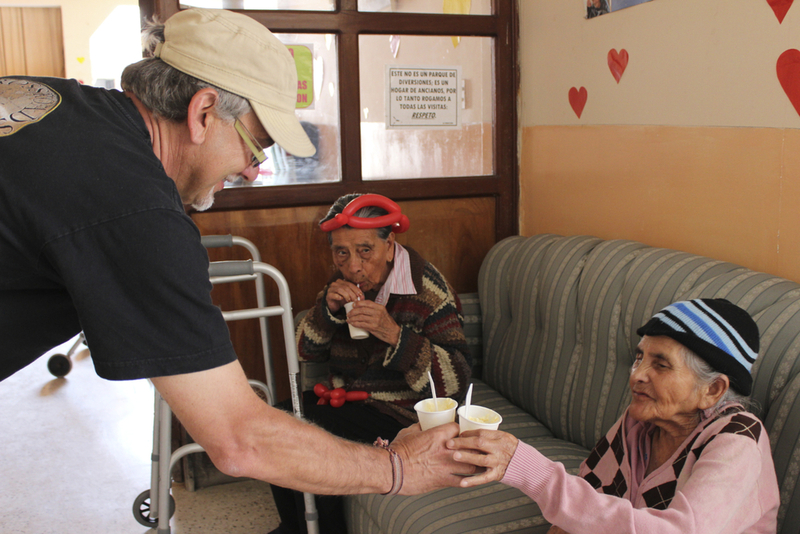 He now spends 20% of his time treating can-pay patients in Guatemala City, in order to volunteer 80% of his time treating can't-pay patients in San Pedro. In San Pedro, he has a surgical centre under construction, with plans to offer surgeries to local people in a safe, hygienic environment, in the Tzutujil language they understand and trust. 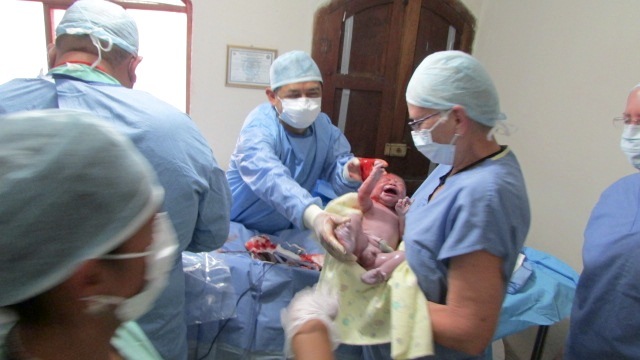 Guatemala Conexions has backed Dr. Francisco's volunteer work for several years, investing in his efforts as a self-supporting doctor with a genuine vision for "health care." Over the years, Guatemala Conexions has supported health care efforts in various places and ways in Guatemala, including other doctors and medical clinics, seniors' homes, AIDS hospices, mobile rural clinics, dental work, and bringing excess medical supply inventory from Canadian hospitals. As needs and opportunities arise, we adapt quickly. is a backpacker centre on Lake Atitlan, a world-famous volcano-ringed crater lake. I think it has potential to be a model village. Conexions donated water pipes to connect a spring to the village, and the village dug the 2.5 km, 1-metre-deep trench down the mountain, in just a few days. With partnership money from the municipality and Conexions, and volunteer labour from the parents, Chujulimul is completing the second story of their new junior high school, enabling their children to attend past sixth grade. Massimo with Don Pablo, community leader in Chujulimul. is at a higher altitude than Whistler Village in Canada. This area is called the "Altiplano", or "High Plains." 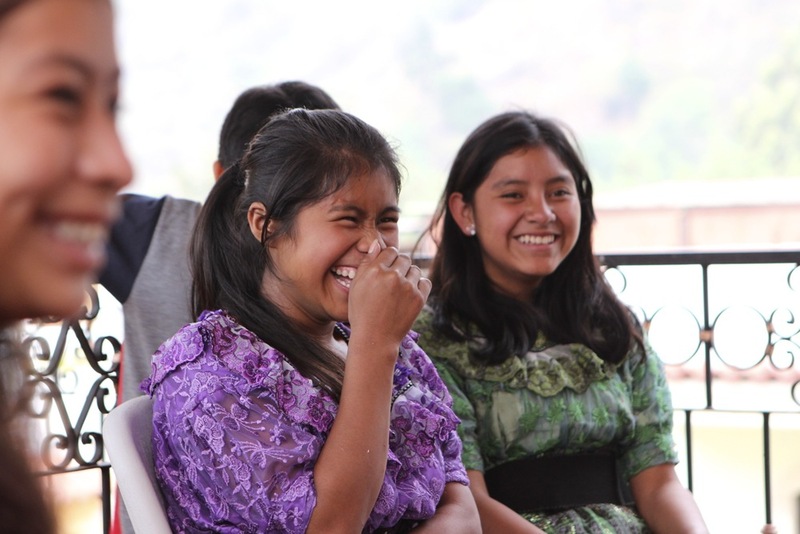 Over the years, we have asked a lot of questions, listened to many stories, and made many friends in Guatemala, like Candelaria and Gregorio, Francisco and Carina, Massimo, and many others. Since we call ourselves "Guatemala Conexions", you might understand why we value the intangible "conexions" as much as any project. We are all neighbours, and we are all in this together. Conexions board members Tim and Ron, at the home of Evelyn, one of our students. If you'd like to help financially or otherwise, that would be much appreciated. You can trust it'll be put to good use. Guatemala Conexions complies with Canada Revenue Agency guidelines for non-profits through our relationship with our receipting partner MMF (BN #80737 5670 RR0001). 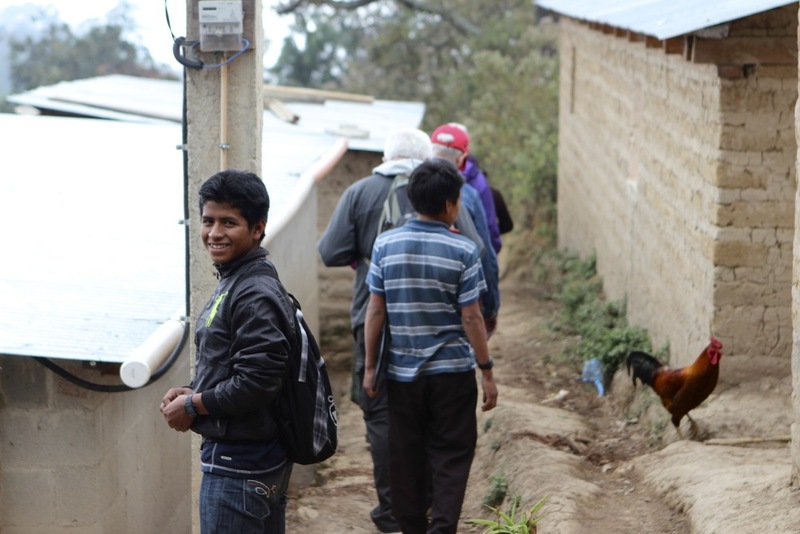 MMF has direction and control of the resources donated to MMF on behalf of Guatemala Conexions, and holds us accountable for the work that we do, including receipting and expense tracking. Email us below for more information, including about donations for American tax receipts.